We know that planning a wedding can be tough stuff and a bit stressful too. Throw in different religions, family traditions, and customs only strengthens the pressure of prepping for the most perfect of days; one that suits everyone involved. But don’t fret, there are so many creative ways to make it happen! Firstly, make sure it’s what you and your spouse-to-be want and is comfortable with. Then, after that is decided, you can start planning and using your imagination. Once you’ve picked the perfect venue, you can decide how to accommodate your special needs. Join differing officiants. Have two representatives from each religion come together to perform the ceremony as a team. Explain customs in the programs. Jot down notes, descriptions, and stories of certain rituals or traditions at the wedding that your guests may need help understanding. Fuse your menu. Get really creative with the food and go with a “fusion” inspired meal or bites for the night. The dance floor is for everyone, so have the playlist reflect that. Mix up the music and make sure all cultures are represented throughout the celebration. Weddings are composed of a range of smaller traditions, and the bride and groom may feel strongly about including specific parts while others may not feel as critical. Before you begin planning the wedding, couples should sit down and discuss any aspects that they feel must be included in the ceremony. This allows each person to focus on the traditions that matter most and can help provide a framework upon which you can plan the rest of the ceremony…..
“Most couples would probably agree that balancing the specific expectations of your parents is one of the most challenging parts of planning. For our multicultural wedding, this was probably the most fundamental component. When we got engaged, we were excited to incorporate Nigerian culture into parts of our wedding to honor Onye’s heritage, but we also knew that we’d need to balance these cultural traditions with our own wedding style, as well as the expectations of both families. “Hire a wedding planner with experience. 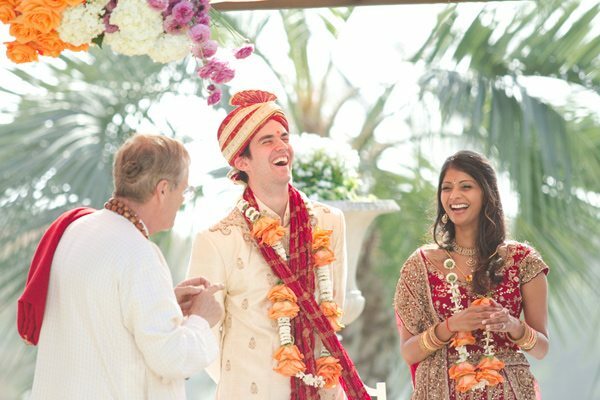 There are wedding planners who specialize in weddings that celebrate specific cultures and backgrounds. He or she will be knowledgeable on the various ceremony traditions, music and dances, menu items and other details you may want to include. They’ll also have a list or resources and vendors who can assist in creating the look and feel you want for your multicultural wedding. Couples who want to honor their heritage can get a second wedding-day look that includes “traditional” dress. Chinese brides can wear a red dress, Indian brides an elaborate saree, or Korean brides and grooms a traditional hanbok. If you do decide to wear two looks for your wedding let your photographer know and set aside time to be photographed in the cultural dress too. If you’re concerned about modesty and coverage for a religious service, many designers are offering wedding dresses with higher necklines and sleeves, as well as convertible looks that let you easily change from a modest look for the ceremony to a more revealing one for the reception. Personalize customs with your style preferences.